1. 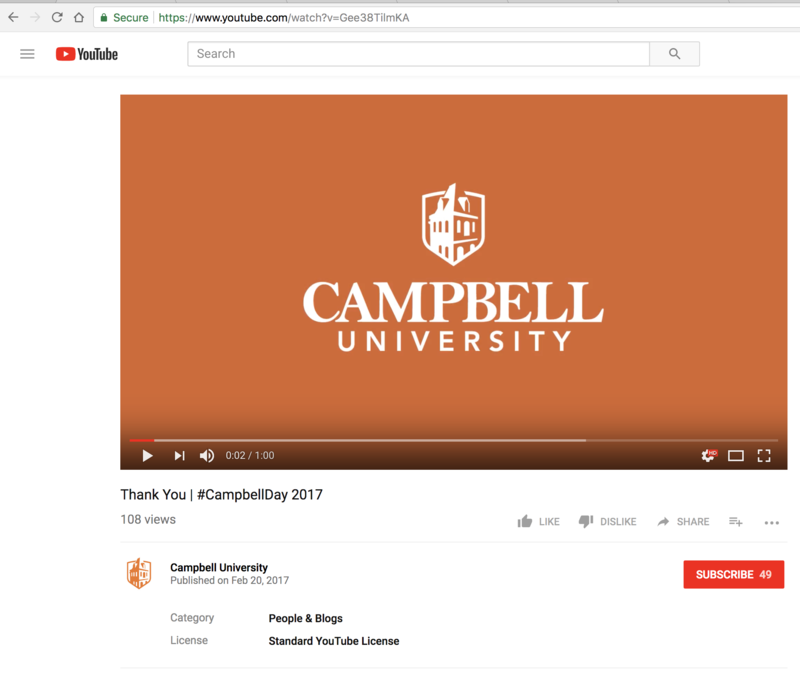 Upload your video to your Campbell-branded Youtube channel. 2. Add captions to the video. 3. Copy the URL for the YouTube or Vimeo video that you would like to embed in your web page. 4. While editing your web page, paste the video's URL in the desired area of your content editor. After a few seconds, the link will automatically convert to an embedded video..
5. Next, add a brief description under the video to let your user's know what to expect while viewing. 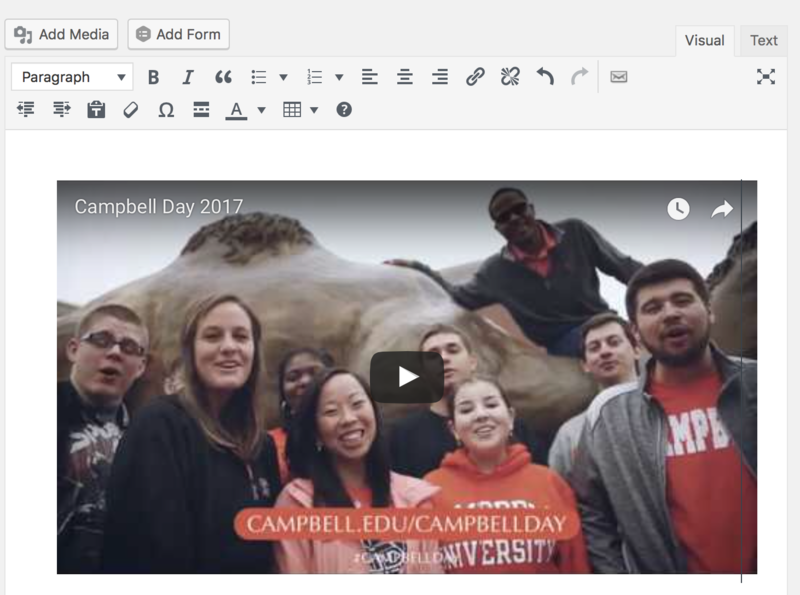 For example, the video above may have the caption "Campbell University students describe why Campbell Day is important for current and prospective students." 6. Click "Preview" button to see changes before saving.